In recent years, urban planning, arts and culture, economic development, and city administration have found common ground in a raised awareness of the importance of culture to a community's livability and prosperity. In fact, cultural vitality is increasingly referred to as one of the four pillars of sustainability, along with social equity, economic health, and environmental responsibility. Numerous cities across North America have begun to leverage cultural assets for attracting business, investment, and people. Smaller municipalities often have serious challenges in competing with their larger urban cousins to achieve these kinds of successes. 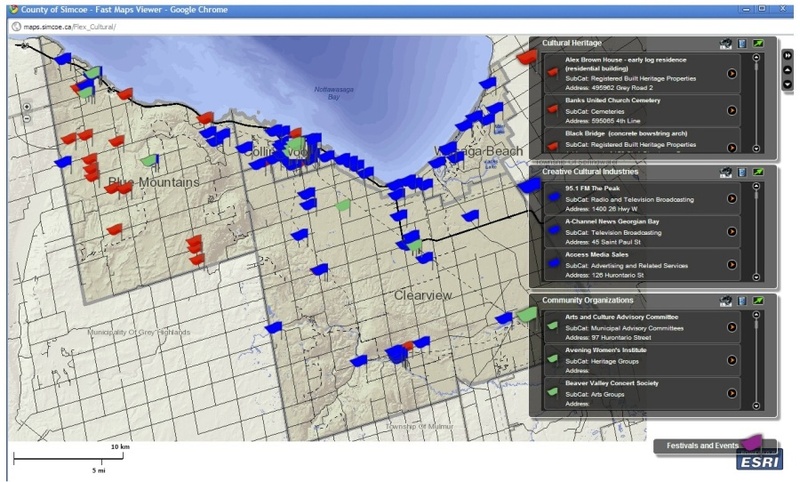 Cultural asset mapping (CAM) is used to understand and interpret the complex interrelationships of cultural elements for use in strategic planning and economic development and is scaleable for use in smaller municipalities. Cultural asset mapping has been defined as: "a process of collecting, recording, analyzing, and synthesizing information in order to describe the cultural resources, networks, links, and patterns of usage of a given community or group." Maps are most often understood as the indispensable tools that help us navigate our physical world. Cultural asset maps, by representing the spatial relationships between such things as artists, markets, fairgrounds, heritage sites, and buildings, help tell us about who we are, based on our unique identity, history, and cherished stories -- in other words, our culture. 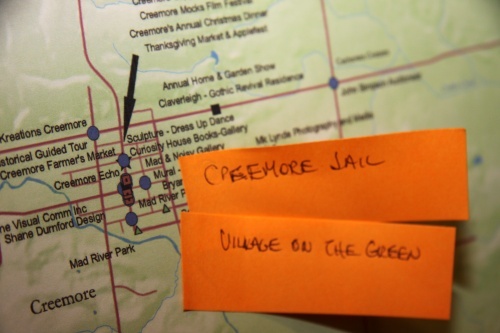 There are two categories for these maps: (1) resource maps, identifying and recording tangible cultural resources, such as buildings or locations; and, (2) community identity maps, identifying intangible cultural resources, such as the stories and traditions that define community identity. 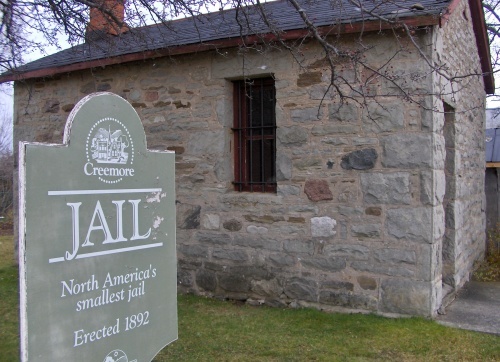 The historic Creemore jail is one of the assets mapped out in the project Voigt describes in his PCJ article. 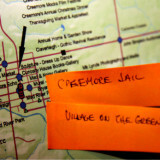 The jail is one of the many sites mapped out. Sites that have been mapped can then be viewed by anyone online. -- Awareness and marketing -- promoting culture with residents and tourists. -- Economic development -- targeting or facilitating entrepreneurial investment in creative cultural industries. -- Planning and policy -- informing municipal decision-making relating to land use, social planning, heritage planning, urban design, and place making. -- Networks and collaboration -- facilitating partnerships with cultural groups and identifying opportunities to maximize assets. The cultural asset management project that I'll be describing has brought together four communities in a broad-ranging undertaking linking planning, culture, and economic development. ... the article continues with a look at the project Voigt worked on, involving four neighboring Ontario towns. What's Your Community's "John Hancock"?